WASHINGTON, DC—The Holy Land Christian Ecumenical Foundation (HCEF) is pleased to announce that the Society of St. Yves Catholic Center for Human Rights will receive the 2015 HCEF Living Stones Solidarity Award at HCEF’s 17th International Conference Awards Banquet. The Awards Banquet will take place on Oct. 16, 2015. 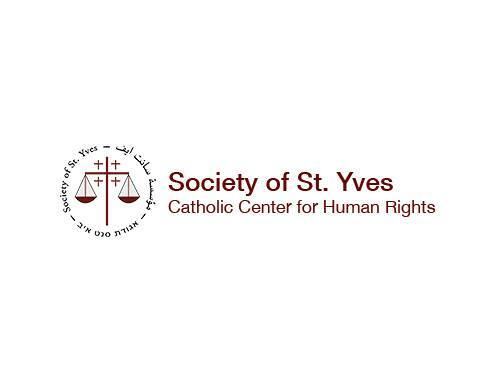 This award gives public recognition to the many years the Society of St. Yves has toiled on behalf of Palestinians to ensure their human dignity is protected though legal actions. St. Yves was founded in 1991 by Latin Patriarch Emeritus of Jerusalem Michel Sabbah to help the “poor and oppressed” according to the social doctrine of the Catholic Church. The society provides gratis legal assistance, counsel and advocacy to members of the Palestinian community. They lobby nationally and internationally in order to bring the situation of the poor and marginalized to the attention of communities around the world. HCEF has a long-standing special bond with the organization, as the Society’s CEO, Fr. 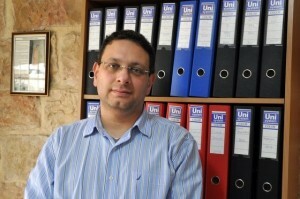 Emil Salayta is a Co-Founder of HCEF and President of the Latin Patriarchate Ecclesiastical Court. The cases tackled by the Society include Jerusalem residency, family reunification, child registration, freedom of movement, house and structure demolitions and even land confiscations. Their motto, “I am my brother’s keeper,” has encouraged them to continue to strive for justice and fairness for all; no matter the race, gender or religion. 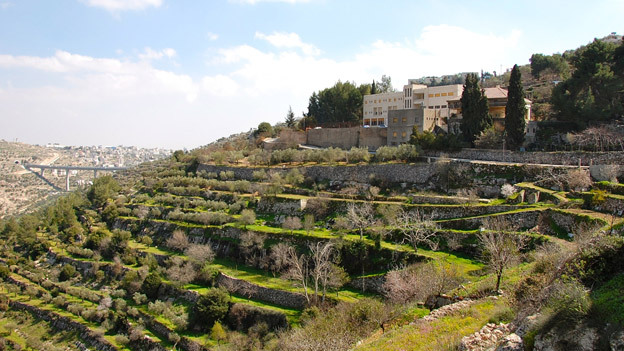 On Thursday, April 30, 2015 the Society of St. Yves achieved victory in the Cremisan Valley case, a legal battle that spanned 9 years. The HCEF Living Stones Solitary Award was established to honor institutions that have made a sustained and extraordinary effort to love, support and stand in solidarity with the Christians in the Holy Land. These institutions through their acts of love and action, have demonstrated their determination to preserve the Living Stones in the Land of Christianity’s birth. This year’s award will be presented to Raffoul Rofa, Executive Director of the Society of St. Yves, during HCEF’s Awards Banquet to take place: Friday, Oct. 16, 7:00p.m, the evening before the conference at the Washington Marriott Georgetown.